Compare and contrast: MSM (left), SIM (center), and a Rudu (current storage system). Onion is a major source of income for smallholder farmers in Sokoto, Nigeria. The country is the largest onion producer in West Africa, exporting to neighboring Niger, Benin, Senegal, Cameroon and other countries (NBS, 2017). 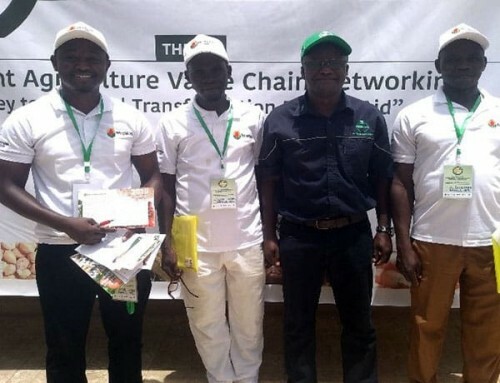 The onion value chain has potential for economic development in Nigeria even though production and availability are limited to certain periods and seasons. A first step toward achieving this potential is overcoming the challenge of storing onions for long periods. Currently, farmers experience losses of up to 50% of their onion harvest due to poor storage and other postharvest practices. The IFDC/2SCALE project is collaborating with Tays Foods Limited (TFL) in Nigeria and the World Vegetable Center to work with onion farmers, traders, and other onion value chain actors to ensure more of the onion harvest makes its way to markets and consumers—and ultimately more income accrues to producers. 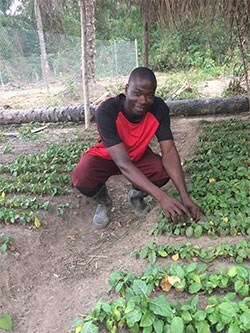 Reducing postharvest loss begins at the start of production. 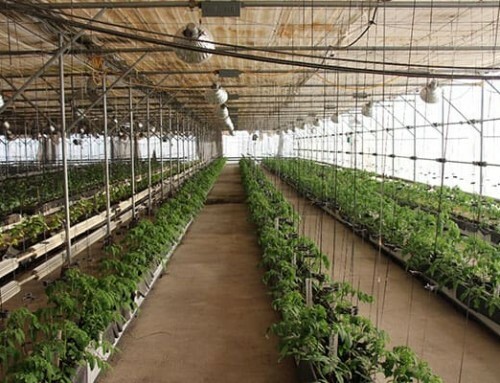 Farmers must choose varieties with longer shelf life and use inputs correctly (especially fertilizer) as the plants grow. The plants must be topped at the right time prior to harvest. Once harvested, the bulbs must be properly cured, sorted and graded to remove immature or out-of-grade specimens. 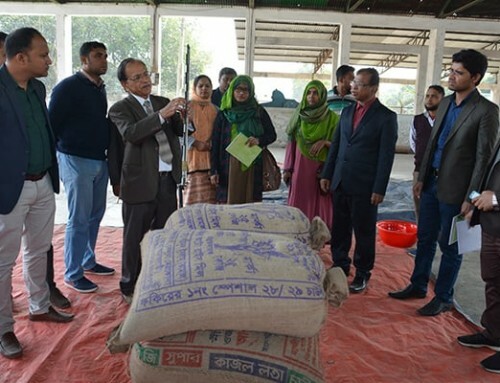 These measures, when combined with a good storage facility and other postharvest handling techniques, help to significantly reduce postharvest losses. 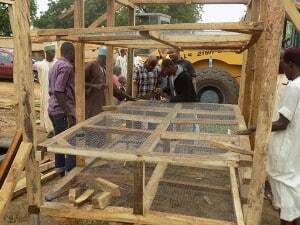 Constructing the framework of the Sokoto Improved Model (SIM). In partnership with TFL, onion farmers, extension workers from Sokoto Agricultural Development Project (SADP) and youths from Agricultural Graduates Association of Nigeria (AGAN) through the 2SCALE project funded by the Dutch government, with IFDC as the lead institution, are building the skills of onion farmers and traders in production and postharvest handling and storage practices. Improvements to storage facilities in Sokoto state began in May 2018 with a field visit to Senegal from Thompson Ogunsanmi, 2SCALE Country Agribusiness Portfolio Leader and Maitasamu Aliyu, TFL Extension under the coordination of Bejo Zaden, the top onion seed company in the Netherlands, to explore ideas for specific storage models for Sokoto. This was followed up with a Training of Trainers (TOT) workshop for TFL and SADP extension officers and AGAN members, facilitated by a team from WorldVeg Mali. These trainers then directly trained farmers and onions traders. A field trip helped the facilitators assess available storage facilities in Sokoto and identify defects, namely lack of ventilation, poor postharvest management, improper curing, topping, stacking of many onions over each other, etc. 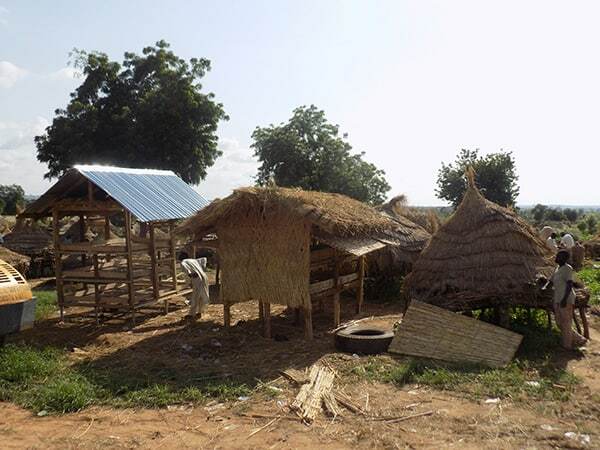 These defects were addressed with the construction of an improved storage facility using prototypes of onion storage from Senegal and Mali. 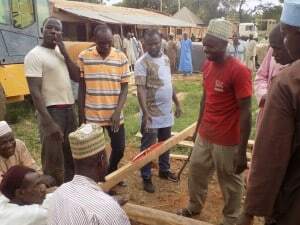 IFDC/2SCALE and World Vegetable Center trainers facilitated a five-day workshop with various stakeholders in Sokoto including representatives from AGAN, SADP, TFL, Nigeria Incentive-Based Risk Sharing System for Agricultural Lending (NIRSAL) as well as local artisans and carpenters. The group developed two improved designs for storage facilities, named the Modified Senegal Model (MSM) and Sokoto Improved Model (SIM). The new models, raised above the ground, were equipped with doors for easy monitoring, shelves to ensure not more than three levels of onions are stacked over each other, and good ventilation for proper inflow and outflow of air, thus maintaining the temperature inside within the recommended range. Although both cost slightly more than the existing models, their life span is longer. The MSM was built with galvanized iron poles with a wooden frame; the structure was covered with iron mesh; and the roof with iron zinc. Heat radiation is reduced by covering the ceiling with Zana—grass mat. Rice shelves will be used to cushion possible damage when onions are stacked on the shelves. 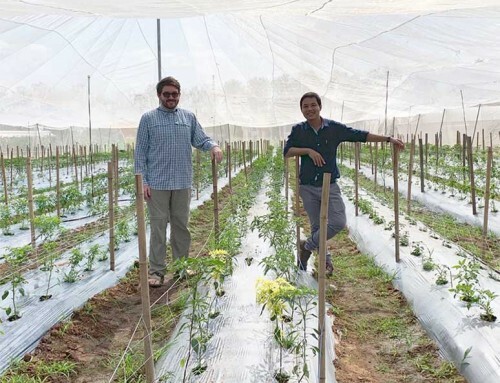 Both designs will be tested for effectiveness using onions from demonstration trials that began in October 2018 and will run through March 2019, to ensure postharvest management practices are observed from planting to storage. 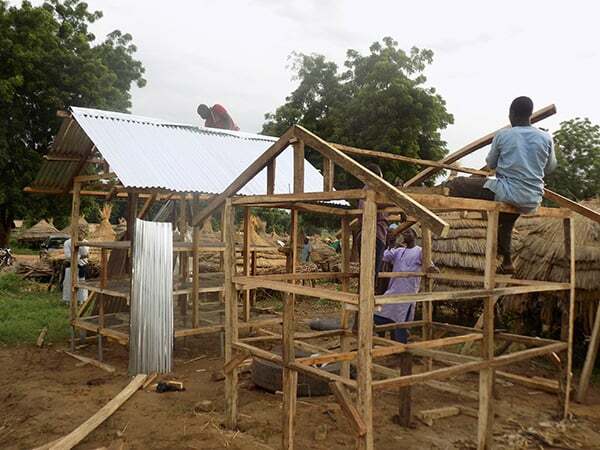 With their expertise in working wood, the artisans and carpenters at the workshop demonstrated that they can construct storage facilities through their skillful use of local materials. The new models will be used alongside the existing traditional farmer models for easy comparison. Data will be collected and field-based learning sessions will be held to discuss how onion storage, farmer income, and economic opportunities have improved. This will certainly aid in adoption of the new models in Sokoto State and Nigeria at large. Carpenters and civil engineers deliberate on a point of construction. 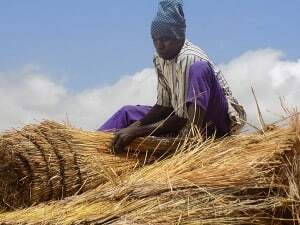 A skilled artisan thatches the roof. Mesh shelves allow for better air circulation and temperature control.